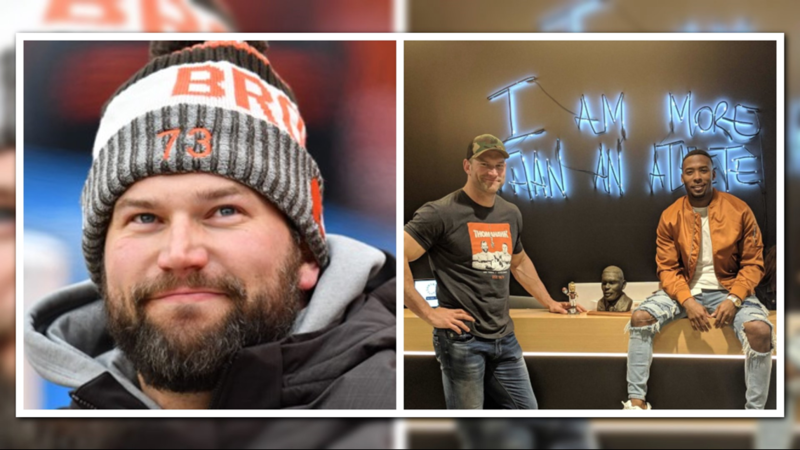 If you pay any attention to Joe Thomas’ Twitter you’ll learn about more than just his podcast and his work on NFL Network. The former Cleveland Browns offensive lineman will show you the foods he’s been eating that helped him shed more than fifty pounds. Lots of pictures of protein and vegetables. But there’s a little more to it than that. He pairs the Ketogenic diet with intermittent fasting. Keto is a low carb, high fat diet that has helped many shed a lot of unwanted weight. It shifts the body’s metabolism to using fat for fuel instead of relying on carbs. But that’s not all. He swims 30 to 45 laps twice a week for cardio, a great workout for joints that were beaten senseless for eleven years with the Browns. He’s also into yoga and keeps up a weight lifting routine.